Kitchens, bathrooms, laundry rooms, basements and attics are all breeding grounds for mold and mildew. These rooms have a higher probability of producing mold and mildew because they contain water pipes, drain lines, and steam producing appliances and activities. All of this contributes to indoor air problems and allergy symptoms. Control the moisture and you control mold and mildew in your home. Water leaks are a common source of mold and mildew breeding grounds. Be sure to inspect your pipes regularly and fix any leaks you find. Check your ceilings, walls, and your roof for discoloration as that is a sign of a pipe leaking where you cannot see it and can be the start of larger scale issues. The washer and dryer are one source of moisture in your home that you may not think about. Wet clothes have approximately a gallon of water that the dryer then turns into moisture by the way of steam. To help with this problem make sure that your dryer vents to the outside and that it is clear of all debris and clean your lint trap after every use. 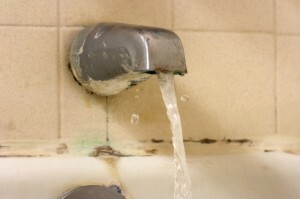 Bathrooms are a large culprit of toxic mold and mildew in your home. The bathroom produces a lot of moisture in the air. Due to the high levels of moisture and hidden pipes mold colonies can form in the walls and sub flooring. Want to know if any colonies are lurking in your home? In most cases the best way to determine the allergens in your home is to run this fast and simple mold and chemical air test. That advanced air sampler can detect if you have hidden mold colonies and which of over 400 chemicals are elevated in your home. This quantification of possible mold and chemical contaminates and possible sources are the best way to determine indoor air pollution and take corrective measures. There is no need to pay the pro’s an arm and a leg for air testing.